The 1980s really do owe Auburn a lot. Is a guy in a Bo Knows shirt worth a Tiger Pause post by itself if it’s on a show I know nothing about? Maybe. Probably. But a guy on a show set in the 198os–those shirts didn’t show up until 1989, so I guess it’s 1989?–making a Charles Barkley reference while wearing a Bo Knows shirt? Pretty hard to match a parlay like that. 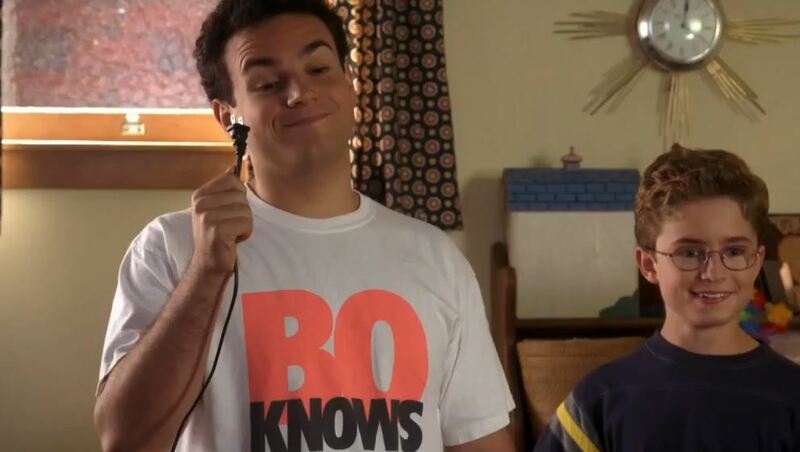 So here’s Troy Gentile’s Barry Goldberg making a Charles Barkley reference in a Bo Knows shirt on Wednesday night’s episode of the ABC comedy The Goldbergs.